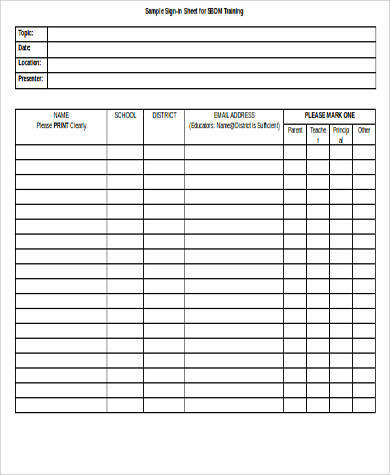 In handing a large number of people you need to collect information from, sign-in sheets prove to be a foolproof way of doing so. 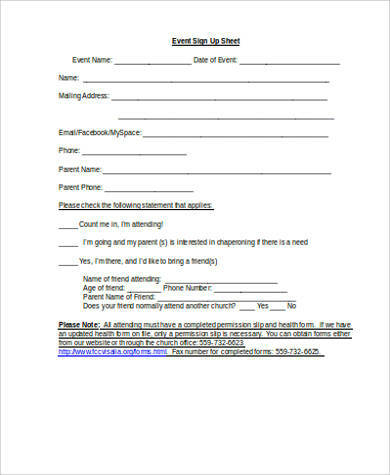 Sign-in sheets can be used by any individual, establishment, or business since they can be used to monitor various situations such as meetings, employee/student attendance, or to monitor the number of people who have attended an event. 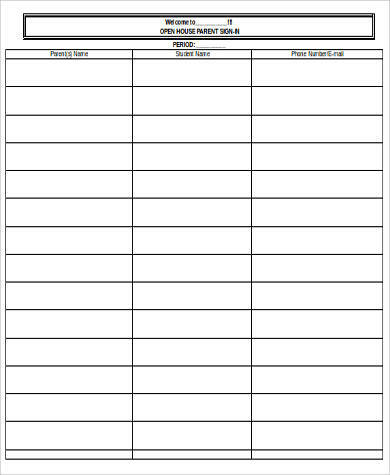 We have nine sample Sign in Sheets that can help you out in keeping track of individuals for a specific purpose. Browse the samples below and choose one that you feel best suits the purpose you will be using a sign-in sheet for. 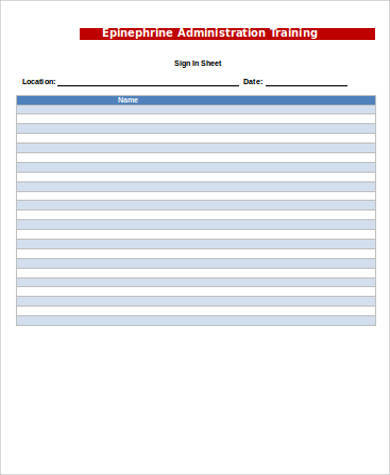 Basically, a sign-in sheet is used to collect information that would be appropriate for the situation it is being used for. It monitors and keeps track of the volume of people who are present in the workplace, establishment, event, or institution. 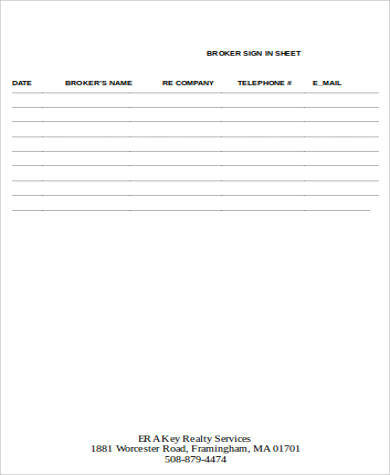 Some sign-in sheets will require other information such as permanent or present address, last four digits of an individual’s social security number, and other information that may be perceived as appropriate for the purpose of using a sign-in sheet for. 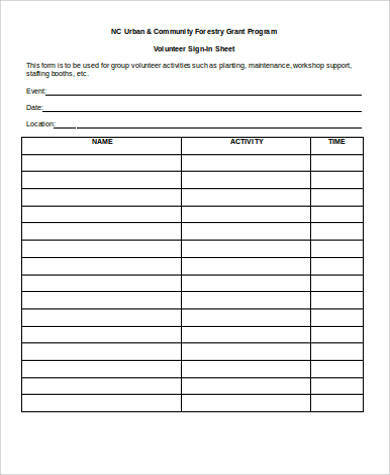 A sign-in sheet is very easy to use. 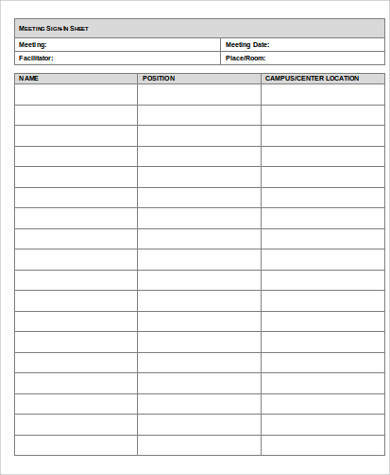 Fields to be filled out are already provided for the person who will sign the sheet. All that the person needs to do is to fill in the information that is needed and that’s basically it. Why Use Sign-In Sheet Samples in Word? The sample sheets featured in this article can be used for a variety of purposes—from events to an academic-related situation to the attendance of employees, it is all mentioned. The sign-in sheets are accessible through this article. No need to be directed to another website for downloading. 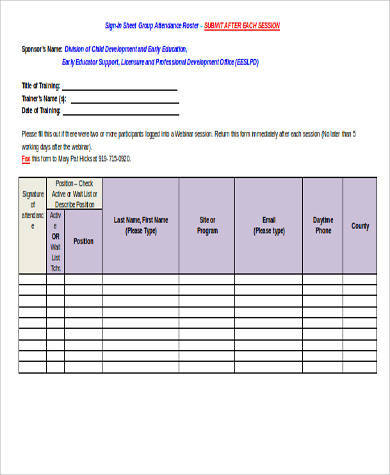 Just click on the DOWNLOAD button located to the right of the document. All sheets can be downloaded free of charge. There are nine samples to choose from that come in different layouts, designs, and formats. All of the sheets are in Word Document (.docx) format, which is highly editable using office-related applications through mobile or computer. Editing is not that complicated since all of these are pre-drafted to have layouts, which will be easy to customize. You can edit it according to the purpose that the sign-in sheet will be used for. 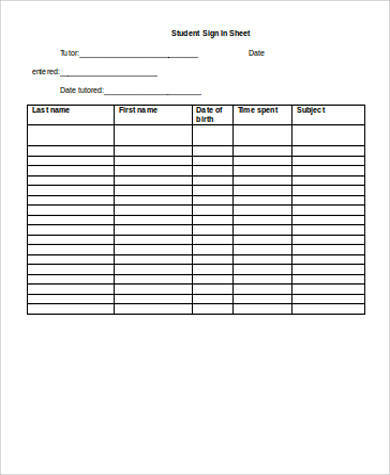 You may also check out Doctor Sign in Sheets.